TD VINYL is please to announce the release of “ELVIS – “JAILHOUSE ROCK VOL.2”. 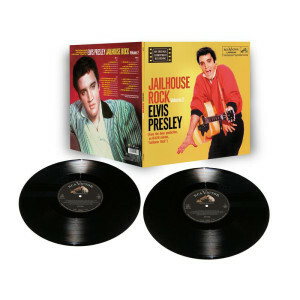 This limited edition vinyl LP set contains excellent binaural outtakes of “Jailhouse Rock”, “Treat Me Nice”, Baby I Don’t Care” and others (binaural recordings employ the use of two microphones that simulate the how the performance would be heard in person). This set is a must-have addition to your Elvis music collection!